Whether you're organizing a family reunion, private party, unique event or corporate activity, venue choice is key. The perfect venue for your celebration should fit the style of your San Diego unique private events and flow. Also, the venue should provide you with the staff services that can help you make the event of your dreams come true. PARQ Event Center is the perfect place for San Diego unique private events. So, what is it that makes us so unique and a perfect fit for your San Diego unique private events? First of all, our large facilities can host from 50 to 1800 guests, giving us extraordinary capacity and flexibility. Perhaps it is the memorable moments and beauty of our venues that is the reason for our popularity. Coming to our San Diego location is the best way to see for yourself! The years of large hotel rooms for receptions and celebrations are a thing of the past, thankfully. Today PARQ has the privilege of saying we are the most versatile company for San Diego unique private events. No matter what kind of meeting or party you are organizing, our spaces offer versatility. PARQ offers a variety of environments and styles that will allow you to unleash your imagination. If your San Diego unique private events require some partying and dance time, we offer our PARQ Night Club. With an impressive 10,000 sq.ft. space, you can host up to 850 guests to have fun without stopping thanks to the most advanced audio and video system in San Diego. And if your guests get hungry, they can enjoy our exclusive PARQ Restaurant. Chef Brad Austin will delight you and your guests with his American Progressive Cuisine that is out of this world! For a more intimate atmosphere to share, we also have our Lair Night Club. An amazing atmosphere where you can enjoy with your guests the most exclusive lounge of San Diego. In short, no matter the occasion, PARQ has the ideal space you need for San Diego unique private events. A place of events becomes popular when your guests feel spoiled, and take home a memorable and ever lasting experience. At PARQ we have worked hard so that all our staff is trained to provide the best customer experience in North America. From the first call, you will be advised by experts for your San Diego unique private events. Moreover, we guarantee that your guests will feel like they are in heaven from the first minute they walk into our facilities. PARQ is one of the most beautiful historical buildings in the San Diego area. Take advantage of the features you have to make a wonderful celebration for San Diego unique private events. Mr. Carlos Becerra has been concerned to preserve most of the architecture of the 20’s for your enjoyment. Regarding the location, we are in a premier location of San Diego, in the Gaslamp Quarter. Quality service and having a premier location in San Diego are what keep our clients coming back year after year. Another aspect that makes us the best for hosting San Diego unique private events venue is our special services. Our staff works with the goal of highest possible customer service and catering needs while you organize your event. We have been concerned with offering the best audio, lighting, and video systems in the entire region. Also, we have the best logistics equipment that includes stages, furniture, and technology. Therefore, helping you configure your San Diego unique private events just as you dream them. PARQ helps fulfill your objectives and gives you the celebration you have dreamed of. Allow yourself and your guests to experience San Diego's most beautiful experience at PARQ, the most popular event venue in the city. We guarantee that you will live something different, unique and unusual, to remember forever. Contact us today for your San Diego unique private events! San Diego private events space is available for your dream occasion at PARQ Event Center. It's common knowledge that the success of any event is very dependent on the venue hosting the occasion. That’s why event planners don’t settle until they get the best venue for their event. Many celebrations are memorable, and that's thanks to the inspired and unique event venue ideas. San Diego is one of the most famous cities in the world for hosting memorable events courtesy of gorgeous weather and venues. You can host any kind of event in San Diego, from weddings, to product launches, or even important meetings. PARQ offers the perfect San Diego private events space for your party and event planning needs. What makes an event memorable is how it was organized and where it took place. Private events, such as corporate meetings need a quiet and conducive place for intellectual minds. While weddings needs a more intimate and magical atmosphere to pull off a memorable experience. The PARQ event center in San Diego has what it takes to make your occasion memorable and successful. There is enough space, excellent stages for the presentation, modern screens together with sound and lighting systems. Once you consider our company, we will take care of everything you need in your event. You will only need to provide us with the guide on how you want your event to look like and relax as you wait for the big day. San Diego private events space can be used for hosting a wide range of events. Many companies prefer to launch their products or hold their meetings in the PARQ event center. Keep in mind, hiring a dream venue for your event relieves you of some of the stress and pressure that goes along with executing an event. Such as the over-looking of and installation of various event accessories and decor. Our San Diego private events space gives you everything you need at pocket-friendly prices. It's important to calculate just how many people your expect to attend your event. If the number is significant, the venue you choose should be able to accommodate all of them. Therefore, before you think of looking for a San Diego private events space, know the number of people you expect. At the PARQ event center, we have enough space to host any kind of event you might have. The space in our facility can hold a capacity of up to 1800 people. Another important factor to consider is how much you are willing and wanting to spend on a venue. Remember an excellent and well–equipped San Diego private events space will be slightly expensive. However, don’t prioritize the cost if you want to hold a high-quality and memorable event such as a concert. Our staff will negotiate with you to ensure that you get the best venue that fit's within your budget. Your event needs other services such as security, parking or event entertainment services. In our facility, depending on your needs we will accommodate all your needs where possible. If you're wanting to hold a private event in San Diego- don’t even think twice! Call us at (619) 727-6789 for reservations. We will work with you closely for a San Diego private events space available for your dream occasion! Businesses and individuals alike may have a lot to celebrate, want to socialize and have fun, or even just loosen up. However planning a party is not an easy task as it might sound, you need to involve the right people and take your time. Some events such as wedding or anniversaries are engaging, and therefore should not be rushed when organizing one. You aim to impress and make your private party San Diego event memorable for a very long time. Choosing the right private party San Diego venue should be your priority when planning for the event. Planning for a private party can be hectic, sometimes depending on the urgency and the significance of the occasion. Not everybody can prepare and throw a beautiful party for friends or family members. A private party San Diego event needs a lot of time and resources to plan and make it successful. Consider using the following tips when planning your next private party San Diego Event. Every private party should have goals it aims to achieve. Understanding the purpose of the party will make it easier for you to plan. Every private party has its needs that you should take care of to make it successful. For example, planning a wedding party can be expensive and more demanding than a birthday party. Corporate parties also have their demands since the attendees are not as intimately acquainted. Dignitaries, employees, and even sometimes customers will attend a corporate private party San Diego event. Planning a private party without an objective, can be more challenging than you would expect. Another important factor to look for when planning your next private party San Diego event is the location. Here is where you are likely to face a lot of challenges if not chosen wisely. It's important to find a venue that will complement your type and nature of the private party. An outdoor venue may be perfect for a wedding, while an indoor venue is great for launching a companies new product. PARQ events center provides both exquisite indoor and outdoor venues for your private party San Diego events. They offer everything you need from meals, accommodation, to the best nightclub in the San Diego area! Looking for the best venue for private parties San Diego? A venue can make or break a well planned corporate or private party. When you want to impress your guests and create a memorable event, you need to choose the venue wisely. Because again, the right location can make or break your party or gathering. There are many venues available for private parties San Diego, but none as luxurious and contemporary as the PARQ Event Center. Located in the middle of San Diego's Gaslamp Quarter, it's close to the convention center and downtown hotels. There is a wide assortment of features and amenities that will make your party fun and exciting. The best venue should be segmented into various areas depending on the size and function of your party or event. The PARQ Event Center is a venue that can accommodate private parties wot expected attendance of 50 to 1,800 people. It is available for corporate or private events and parties in San Diego, CA. We offer plenty of space with an impressive total multi-room venue of 30,000 square feet in size. Not to mention, we offer a unique experience that your guests will rave about for months to come! We have a state-of-the-art light and sound system that includes a 32 foot LED screen. Plus, our 42 foot stage area is ideal for presentations and shows including live entertainment. We also have a DJ booth and a 30 foot main bar inside the Nightclub with a dance floor and selection of in-house entertainment. You are sure to find our venue is ideal for your next meeting or for all types of parties in San Diego. The PARQ Restaurant is an open-air venue inspired by the iconic Central Park. The restaurant is 5,000 square feet and has a unique ambiance with beautiful lighted trees. Making it seem as though you are dining in the middle of Central Park yourself! There is a DJ booth, 4 TV screens and a luxurious ladies lounge. The food is progressive American cuisine which is prepared by our in-house chef using the latest preparation techniques and beautiful presentation. Your guests attending private parties will be impressed with their dining experience. The Restaurant is ideal for hosting meetings and events. Including dinner and cocktail receptions and other private parties San Diego has to offer. The Lair is an intimate nightclub setting with all of the ambiance of our other rooms. It features opulent gold and black décor and the latest audio and visual technology to make your party or event perfect. Our PARQ Nightclub is a hip, contemporary venue that is spectacular. Guests enter through the Grotto tunnel into an exciting space that is 10,000 feet in size. Planners have access to the latest technology to assist in planning their private parties San Diego. The huge LED screen, stage, and high quality sound and audio systems are also located here. The flow of private parties San Diego is equally important in the overall success of an event. You can choose to access the Restaurant first for dinner, and then follow with entertainment next. Allow guests to enter the Nightclub for an evening of entertainment that you plan. The stage is perfect for live performances or shows. 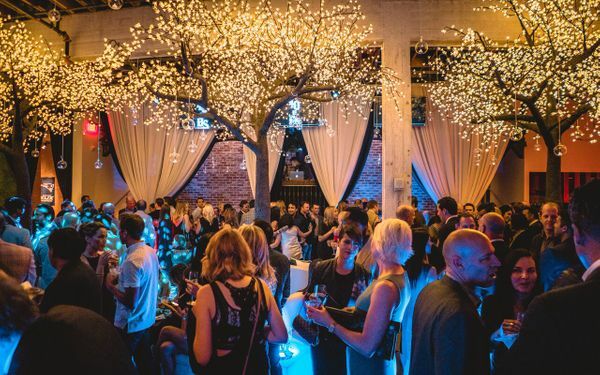 There is no better or more unique venue to hold events and private parties San Diego than PARQ. View our online photo gallery to get some ideas for your next gathering! Casino Corporate events are now more popular than ever, thanks to the realization of brand building importance by many successful companies. Most firms use these events as part of a marketing strategy since it provides the opportunity to meet with both customers and potential customers. Alternatively, casino corporate events can be used for team building and brainstorming amongst all involved. Some companies even use the events to train or recruit new employees. In order for your company to have successful casino corporate events, look for the best venue available. If your company is located in Southern California, consider hiring our facility for your casino corporate events. We have enough space for retreats, meetings, special events, and private parties alike. There can be some challenge for companies in finding the best place to hold their organizational meetings or events. In San Diego for instance, there are many venues where you can hold your activities. But not all venues are equal in what they have to offer, hence why companies should be very careful. Although a venue may not seem as important as the actual event itself, both need to be critically matched. Where your company holds an event matters and it is important for the success of the very occasion. Imagine hosting a casino corporate event in a place full of noise pollution and disturbance from surroundings. Who could call or hold a bluff with a room full of distractions?! There is nothing worse than failure to get the services you expected to get from the venue provider. Hosting your casino corporate events at PARQ event center in San Diego is your best choice for value. You won't even think about the cost due to the services and amenities that your attendees will enjoy. But, it's understandable that everybody wants to get value for the money they spend on an event or product. Therefore, a pre-visit to the venue will be essential to ensure everything your company paid for is available. Don’t just wait for later when you have the chance to make decisions at the planning stage. It's rare for someone to forget an amazing event that took place in a well-organized venue. Even a well planned corporate event can fail because of a poor choice of venue. Also, many companies make the mistake of hiring an event planner then leave everything for the company to handle. Get involved! Make sure everything that is included in your event will make it memorable for many years to come. Remember, as a company you should document all the casino corporate events you undertake every year. A proper venue for casino corporate events should be well-decorated and themed. Ensuring to please the eyes of the attendees as well as define the image of the company. The best choice in venue should be visually appealing and create a refreshing atmosphere for memorable moments. 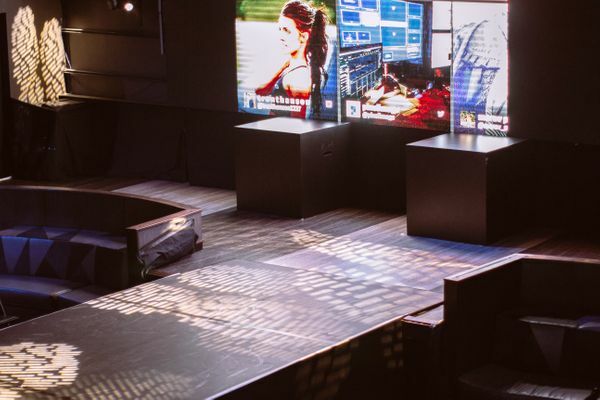 A reputable company should not let its brand down by hosting corporate events in a sub-standard venue. An excellent business event venue can also serve as a conducive environment for the attendees to reenergize. Especially for company employees. In San Diego, PARQ event center is the best choice in providing the best venue for casino corporate events such. We have the best equipment and amenities for hosting any business event. Reach out to our help desk if you have any questions and you will be assisted happily. There are few venues in San Diego for special events that come close to the legacy of Parq Event Center. Known widely as the best special event venue in So Cal, our inspirational even center is clean, modern, and beautiful. With the 21st Century technology and equipment, we can cater to any of our clients' special event needs. Any experienced event planner will tell you that making a special event memorable depends largely on the venue and setting of the event. Not all, but most, special events tend to be sentimental in nature. Therefore, many venues, such as ballparks and gentlemen's clubs aren't appropriate for these. You need a venue that's age-appropriate and relevant to the occasion. Also, making sure that everything is just right is more important at these kinds of events than say, at an office party or corporate celebration. Special events typically deal with life milestones, such as weddings, graduations, birthdays, anniversaries, career promotions, and more. Parq Event Center works hand-in-hand with our clients and event planners to provide you with the ideal venue for your special occasion. 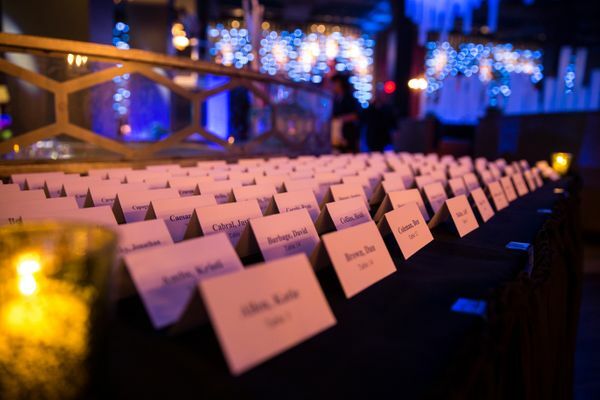 With a little research, you will see that Parq Event Center is famous among large corporations and Hollywood A-listers. Don't let this make you think you can't afford to host your special event here. We cater to everyday people like you as well as big name celebrities. You might be pleasantly surprised to learn how affordable Parq Event Center is, and you can review our references online at any time. One of the many reasons Parq Event Center is so famous is that our venue is customizable. Everything from the layout of furniture and decor to the ambiance and music can be custom-tailored to your taste. Our event center has three levels - Parq Restaurant, Park Nightclub, and Lair Nightclub. Between our three distinct venues, Parq Event Center can accommodate small groups or hundreds of people. We recommend that you book your event well in advance. We get quite busy, especially around the holiday seasons. Plus, you can save money by booking in advance. Not only is the functionality of Parq Event Center customizable, but the look and feel are customizable as well. You can decorate any way you want. You can also rent and bring your own furniture and equipment, although we have chairs, tables, and even a large stage built-in. We also have two massive LED TV screens that can display video, graphics, or a static page. When you host an event at Parq Event Center, the place is yours! Of all the venues in San Diego for special events, Parq Event Center is the one can give you both the setting you want and make the planning process smooth and stress-free. With an attractive location in the heart of San Diego, our event center is close to public transportation hubs and quality lodging. This might come in handy if your guests are coming from out of town or out of state. Book your special occasion at one of the best venues in San Diego for special events. Parq Event Center has the perfect spacious venue for your party, equipped with sound, lighting, built-in bars, lavish decor, and all the amenities you're looking for. Book your event early to ensure availability - call us now to find out more. Making you’re party successful is the dream of everybody who is planning to host one in the near future. Whether it’s a birthday party, anniversary, wedding or any other function, the venues play an important role. Many people find it hard locating the best place for their event despite the availability of many sites for hire in San Diego. There are special parties that need unique venues such as corporate anniversary parties. You will need a place that will make your party stand out from the ones you have attended before. Some parties are a one-time event in your life such as bridal ceremonies. Therefore you are working hard to ensure everything is perfect before the D-day. Will you let the venue ruin your party? The obvious answer is no. You will be forced to make hard decisions when looking for the best place in San Diego for your party. The venues available range from the cheapest to the most expensive. Your class and reputation should come into play when deciding on the right venue for your function. For example, if you are expecting dignitaries at your party, then you must ensure the facility will be conducive, and the guests will feel comfortable at the party. At times public figures will decide if they will attend your function depending on the venue you choose. Hiring the right venue for your party has many benefits and makes it easy for you to make all other arrangements. Actually, it will be a great idea to first look for the venue before even planning for other things needed in your party. The problem with hosting a party is that everybody comes with different expectations. For example, if it’s a wedding, every guest wants to see a beautiful venue, cakes, and elegance in everything from food to entertainment. Failure to offer justice to your attendee expectations that will be a recipe for criticism. How then do you choose the right venues in San Diego for parties? Don’t take anyone to help you get the proper venue for your function. First, look for the best event planner in San Diego, who has the experience and the relevant skills. The planner will guide and advise you accordingly as well as help you find the right venue. The Internet has made things easier nowadays, so you only need a few minutes to look for various party venues in San Diego. Don’t rely on the information you get from friends or the event planner, however, consider some of their opinions. PARQ event center should be on top of your list for the venues to host your party since it has the best amenities, space, and equipment. Call us today or visit our facility for more information. There are lots of venues in San Diego for holiday parties, but none of them have the air of Parq Event Center. Whenever celebrities, business tycoons, or organizations host an event or a party in San Diego, 9 times out of 10, it's at The Parq. Conversely, small offices, individuals, and groups also choose The Parq because our venue is ideal and our pricing packages are highly affordable. Be sure to book your holiday party well in advance to ensure availability on the date and time you desire. Parq Event Center is the perfect place for holiday parties. Whether you are hosting a private holiday party, a corporate holiday party, or a public holiday party, the Parq is the venue you need to bring it all to life. Plus, Parq Event Center is a virtual event planner. No other venue will go as far to coordinate with you and help you host the kind of party you want as does The Parq. From the food to the drinks to the decor, Parq Event Center will find out what you want and work with you to make it happen. 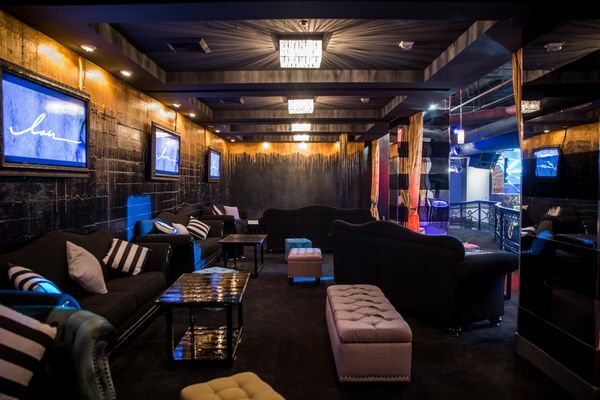 If you plan to host your party at night, you might consider Parq Nightclub. Your guests will know that they are at a special event from the moment they arrive and enter Parq Nightclub's lavish 10K sq ft event space through the esteemed Grotto Tunnel. This is not an ordinary stomach-to-back nightclub - this is a high-end nightclub with swanky furniture, including bar stools, sofas, dinner tables, state-of-the-art lighting, and more. Parq Nightclub boasts a massive movie theatre-sized LED screen where you can play movies, videos, advertise your brand, random text, and more. This large party space can host hundreds and hundreds of people. 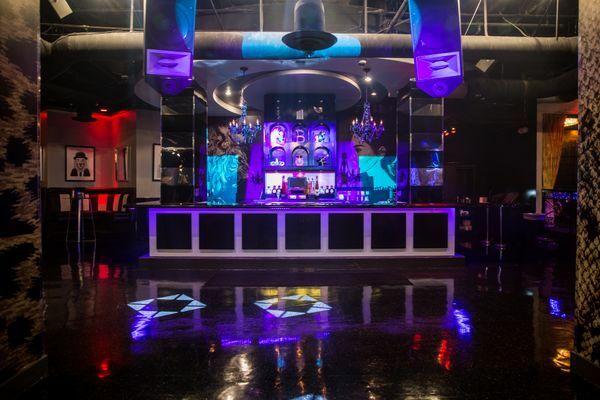 The Lair Nightclub is a bit more casual and is Parq Event Center's premier ultra-lounge. The mood here resembles more of your favorite coffee bar with all of the amenities to host a stylish party. 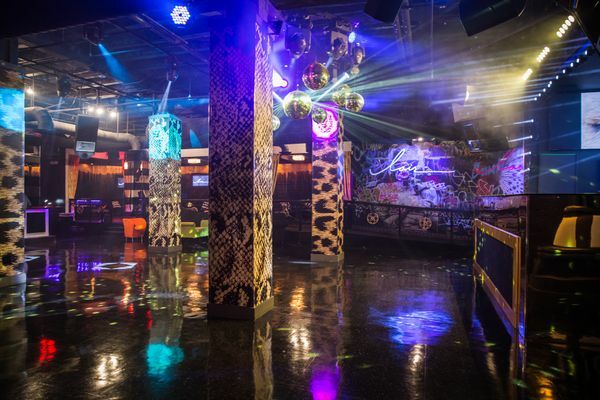 The Lair Nightclub has plenty going on with lots of space for your guests to mingle. You and your guests can enjoy authentic hand-made, chef-inspired meals at the open-aired Parq Restaurant in Central Park. Parq Restaurant boasts an impressive DJ booth, 4 large TV screens, and lots of seating space. Parq Restaurant is a great venue for your holiday party if you want food and drink to be an integral part of the party. Located in the heart of San Diego, our history in this city goes back almost 100 years. Inevitably, when searching for venues in San Diego for holiday parties, people find Parq Event Center. When they learn about our unique history and good name, then find out our venue is available to any budget, more people choose Parq Event Center for their holiday party to be a smash. As an event planner, your work should not end after attending the event planning meetings with your client. What will make you a great person or create a good name for your company, is the ability to find the best venues for your client’s events? The nature of the party should guide you in deciding the right place to host it. The moment a customer hires your event planning services, it means all the hope for the success of the function is now in your hands. You are lucky since in San Diego you have the best unique venues at your disposal such as the PARQ event center. Our facility will offer the best unique indoor or outdoor space for all the activities your client might need. The uniqueness of your event venue is determined by many factors such as the decorations, food, and refreshments to mention a few. Thus, choose a place that will make your attendee remember the function for many years to come. At PARQ event center, everything we offer is customized to meet your event needs, from the amenities you will use and even the foods or drinks. If you are planning to hold a seminar at our premises, then don’t worry we have the best meeting space in the city, restaurant and a fantastic nightclub where you will have fun after a long day of meetings. Why make PARQ event center your unique venue for the next event? PARQ events center has successfully hosted thousands of events since it was developed in 1926. We incorporate all that experience to ensure your occasion is a success. One of the best tips for choosing the right venue for your event is to look at the experience of the hosting company. In San Diego, only a handful of event venue companies can match our experience in the industry. What else are you looking for in a unique space for your event if not a beautiful environment, delicious meals, a well-decorated site, and modern equipment? That’s what our company offers to all customers who would like to host an event at our facility. 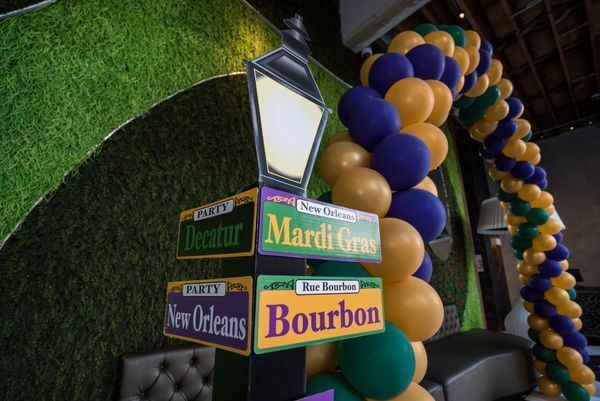 Despite the number of days your event will take we are always ready to accommodate you when you make the booking early enough to give us time to customize the premises for your event. We understand that many people are more concerned with the capacity of the venue they will hold their event in. At the PARQ event center, there is more than enough space for both indoor and outdoor events. Our facility can host up to 1800 people, and you should not worry about the timelines, you can choose whether to hold your event at night or during the day. For reservations just give us a call at 619-727-6789. When are you planning to take your employees for a team building seminar? Every company needs to enhance teamwork and good working relationship with their employees. Various researchers have proved that workers are more productive when they work as a team towards achieving the employer objectives. However, different companies use multiple ways to motivate their employees as well as bringing them together. Typically, there is a lot of conflicts in the working environment, and if not well-handled they can result in poor performance. Therefore, as an employer, it’s important to take your employees for team building seminars or parties once in a while. Team building sessions can only be successful if you host them at an excellent venue like at the PARQ events center San Diego. Remember the choice of venue for team building, will affect the effectiveness of the event. Make your employees feel valued by bringing them to our facility and by the time they leave everybody will be happy. Thus, they will have forgotten the troubles at the working place and focus on starting a new working life. What are the benefits of team building? Improve the working relationship, in many cases, differences between workers and their employer or fellow employees can affect the company negatively. Thus, team building seminars or parties provides a platform to solve all those differences and enhance the working relationship. The workshops will also give a chance to the employers to listen to the workers’ grievances as well as finding solutions as a team. Motivates the employees to work harder towards attaining the corporate goals. Hosting your company team building activities at our facility makes it easy to motivate the workers since you can take the opportunity to set goals for the New Year. You can also reward the hard-working employees and promise them more fun after the company achieves set goals. Team building improves productivity. When employees have a good working relationship the automatic results is the improvement in productivity. A happy employee will love and value his/her work and focus on attaining the company goals. Our facility has the best amenities to host a successful team building event. Whether you want to have outdoor or indoor activities, don’t worry we will take care of everything. Make your booking early to avoid any inconveniences. At our facility, the employees will have the time of their life, by dancing at the spacious nightclub where famous artist perform and the live DJ's. The club also has all your favorite drinks, and there is no single dull moment at PARQ event center. Visit our facility to make your booking or contact us through our call lines or send us an email, and our support team will get back to you. Parq Event Center is San Diego's coolest holiday party venue by far. From holiday parties large to small, Parq Event Center hosts them all. If you're planning a company holiday party this year, contact us right away. The sooner you book, the lower your rates, the more available the dates. We provide a three-level holiday party venue. Choose one or book them all. Whether you want Parq Restaurant, Park Nightclub, or the Lair Nightclub, Parq Event Center has the perfect venue for your company holiday party. We can accommodate dozens or hundreds of people. Whether you're a non-profit organization showing appreciation for all of the self-sacrifice and hard work by your volunteers, a new startup looking to boost employee morale, or a large corporation seeking to enhance collaboration inter-departmentally, Parq Event Center has the venue and the resources you need to bring your holiday party to life and reach your holiday party goals. We can even help you plan and coordinate your event or connect you with some of the best event planners in the region. Parq Event Center is a world-famous party and event venue with prices that even small offices can afford. Indeed, whether your budget is large or small, our prices are affordable. Our venue comes with a built-in 42ft stage, 2 10ft LED screens, and more - all of which can be decorated and themed according to your tastes. Party supplies and materials may be shipped to our venue early for storage to limit your running around on the day of the event. One of the best things about Parq Event Center is that we're easy to find. Our location is prime, and we've been in the heart of San Diego for many decades. Having a centralized location will make life easier for everyone in attendance. We provide parking and even offer valet services. Contact us to learn more about our convenient location. The Holiday season is a very busy time for us, as we are the most famous event center in San Diego. The more in advance you can book your holiday party, the more likely we can provide you with the dates and times you prefer. Because we have three distinct venues in one, we usually have some flexibility, but scheduling gets tighter as the holidays approach. Therefore, to get the ideal reservations, you should book as much in advance as possible. Feel free to stop by or schedule an appointment to tour our event center. You will find that our venue is perfect for holiday parties and a place to make memories that will last a lifetime. Our team is eager to meet you and happy to assist. Parq Event Center is the only five-star event venue in town that offers three-star pricing. If you've ever been downtown around the holidays, then you probably already know that Parq Event Center is one of San Diego's coolest holiday party venues. Choosing the venue for your private event can be an overwhelming challenge. Whether you need to organize a social, corporate or academic activity, the place you select is key for your occasion to be unique, memorable, and unrepeatable. To make a successful development, it is essential to organize a plan, and take in mind some key factors. How to Choose the Ideal Venue to Perform San Diego's Unique Private Events? What time of year will you do it? Is it day or night, and how long will it last? How many people will attend, and what is the profile of the guests? What kind of activities will be carried out? What value-added services do you need for your activities? What kind of access (taxis, metro, bus, for example) and what type of security do you need? Then with your list prepared, establish an order of priorities, so you know in what aspects you should concentrate your selection process. Then, try to find an iconic place to host your event. It's about generating in your guests a unique experience, so selecting this type of location will help you win 50% of the game. So try to get a location that is more than a bunch of rooms. For example, PARQ Event Center is located in the Union Building, one of the most important buildings in the history of San Diego. Also, it was developed by one of the most influential men in the city, John D Speckles. Despite the modifications over the years, Mr. Carlos Becerra kept certain traces of the beautiful history of this construction, including the awesome architecture of the 1920's and the original doors of the bank. If you want to organize San Diego's unique private events, we are an excellent choice. The place to select must be at your service. Choose a place that will allow you to cover all of your main priorities and most of the secondary ones. Also, the wisest thing is to select a location that is more than a place. In that sense, the site must offer support, advice, and assistance to carry out your celebration. It should allow you to have a multidisciplinary team that will ease your work regarding the schedule, music, logistics, catering, and additional services. In this way, the organization will be done efficiently and successfully. Once the place is selected, make sure of the quality of the service provided on the site. Many event organizers offer tastings of the food that they will serve, so it is best to verify that it meets your expectations. Also, go through the facilities and feel the atmosphere and the experience, so that you check these factors. If you want to make San Diego's unique private events, we are your best option. Allow you and your guests to enjoy an occasion to remember in our facilities. You can choose from dining under the illuminated trees of our restaurant, to the exciting experience of one of the most recognized nightclubs in the city. Contact Us; We will be happy to assist you. Parq Event Center brings the spirit of San Diego to life in the heart of downtown. Host your next private event affordably in Central Park. We are the premier San Diego private events venue, conveniently located just a short walking distance from the San Diego Convention Center, The Gaslamp Quarter, PetCo Park, public transportation, and numerous hotels. Parq Event Center is an exclusive venue that truly creates a one-of-a-kind atmosphere that your guests will not soon forget. With more than 10,000 sq ft. of entertaining space, including a beautiful restaurant, tasting bar, DJ booth, a 42ft stage, a modern nightclub, the esteemed Lair Nightclub, a 32ft LED screen, multiple flatscreen TVs, and more, your guest traffic will flow smoothly and provide everyone with access to premium inside and outside space to enjoy simultaneously. At The Parq, the ambiance is warm, inviting and comfortable and is an excellent alternative to anyone looking for modern, traditional, or non-traditional dining and entertainment options in San Diego as Parq Event Center is designed to be highly customizable for each client. Parq Restaurant can host 230 people comfortably for a reception event or 125 guests for seated dining. Additional space can be reserved upon request. Your guests will enjoy chef-inspired meals from the most innovative culinary experience in San Diego. Our progressive American cuisine is served backyard or family style and provides your guests with distinctive private dining opportunities. Plus, Parq Event Center guarantees the finest attention to detail in your food and event preparation to ensure that everything is ideal. Be sure to notify us of any dietary or allergy requests. At Parq Restaurant, everything from desserts to mashed potatoes is hand-made from scratch with the finest ingredients to ensure quality and taste. Take a relaxed yet sophisticated approach to food and entertaining. Plan your next team building, corporate meeting, or private event at Parq Restaurant. San Diego Private Events Done Right! Contact Parq Event Center in advance to assure availability and book your reservations. Learn for yourself why Parq Event Center is the most famous San Diego private events venue in So Cal. Our team is here to help your event be a success. When you are starting to plan an event or party, the first thing you need to do is find a San Diego private events space. Before you choose a space you will need to know how many people plan to attend and the date and time of the event. Then, think about choosing a location that is convenient and close to hotels and the convention center. You also want to pick a venue that will make your event unforgettable. Whether you need space for 50 people or for 1,800 people, PARQ Event Center is the best option in the area. We offer multiple rooms with a total of up to 30,000 square feet. Our state-of-the-art audio and visual technology is unique and our space is ideal for all types of events. Located within walking distance from the San Diego Convention Center and downtown hotels, PARQ Event Center is a San Diego private events space unlike any other. 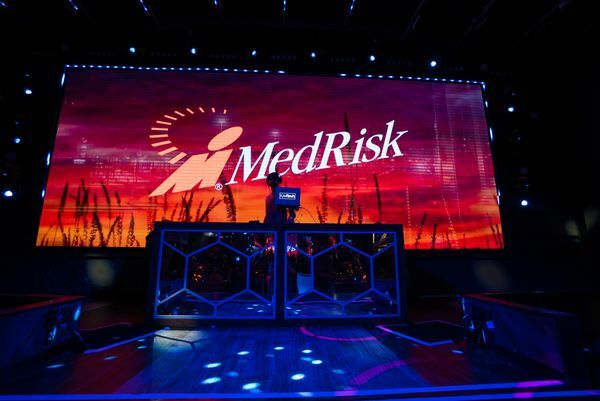 We have amenities that include a 32-foot LED screen, a DJ booth and dance floor, stage area and premier Funktion-One lighting and audio system designed by Stephen Lieberman. View our online galleries to get some ideas for your next event. Parties here are the best in the city. When you are looking for a new, hip and unique place to hold your next event, choose PARQ Event Center. Our PARQ Event Center is ideal for all types of parties and events. We have hosted a wide variety of events including corporate events and dinner parties, holiday parties, meetings, award shows, product launches and themed events. 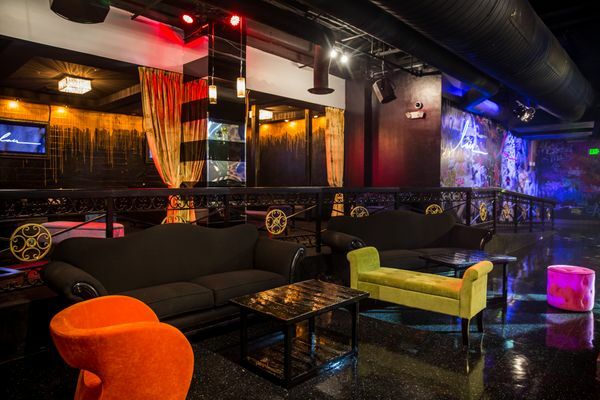 Our Lair ultra-lounge is one of the newest nightclub and event experiences in Gaslamp. The intimate, opulent setting is perfect for corporate events and private parties. It offers a unique entry and you will be awestruck once you step inside. This gorgeous venue can be the site of your next event. The PARQ restaurant is inspired by Central Park and offers an open-air dining experience complete with lighted trees and a hip ambiance. It has 5,000 feet of event space with a DJ booth and 4 TV screens that are ideal for personal branding. Here you can host meetings and private events with dinner and cocktail receptions. Our resident chef is known for progressive American cuisine and creates incredible dishes that are executed flawlessly. The menu will make a lasting impression for you and your guests. You can choose this impressive setting in an historic building but with a contemporary design. Enter the Nightclub through the Grotto tunnel which opens up to 10,000 square feet of space for your next private event. PARQ lets planners use the latest technology to plan events. 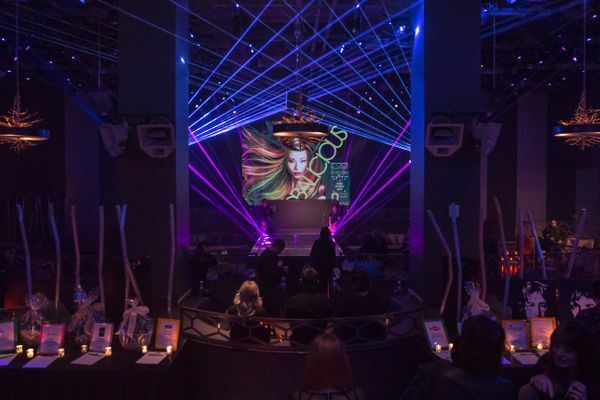 The Nightclub is equipped with every amenity you need to create a memorable event. When you want to provide the most luxurious and lavish venue consider our San Diego private events space. You will find everything you need and more. To learn more, contact us online. Within the different strategies of marketing and corporative image of a company, are the corporate events. You can design this type of activities with a variety of objectives, but if you succeed in the realization of your meeting, the effects by definition that you achieve are brand strengthening, and mind-awareness increasing, whether at the level of employees, suppliers or customers. If you are thinking of holding a corporate event in San Diego soon, it is essential that you know the essence of them, and allow PARQ Event Center, the best of San Diego event venues to assist you so that you and your guests enjoy an unparalleled experience In this city. What is a Corporate Event For? Present or give publicity to a product, idea, service, or to the same company. Capture customers or increase current customers’ loyalty. Create a better brand experience. Increase the integration of employees with the company. Celebrate achievements or events, such as an anniversary. Activities related to the social work of the organization. Add value to the brand through personalities and influencers. 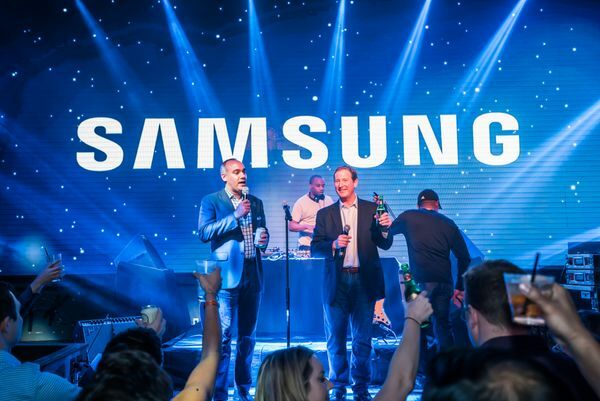 What Kind of Corporate Events Can You Perform? These activities are carried out to train employees, in a specific subject, whether in the upstream knowledge of products, operation or services of the company. Usually, they are different interactive activities that are carried out between the experts and the assistants. They typically last 4 hours and can be part of a larger event. It can be organized by an events agency such as PARQ, in work with the Human Resources department. In this activity, the idea is to encourage the participation of attendees to give their opinion on a topic. Usually, there is a moderator who can lead the debate. On these occasions, a new product or service that is going to come onto the market is presented to the media, employees, personalities, and customers. Guests may enjoy a bite of the new thing that comes, and almost always end with a toast or a cocktail. They serve to gather guests related to an organization to exchange ideas and make decisions. The most common are held annually, for doctors, professionals, members of unions, among others. In these meetings, knowledge about a specific topic is usually imparted. An expert in the subject is mostly invited to teach the guests. Often the press is also invited to publicize the brand. In this type of activities, different people come to share experiences or present new projects. It is common that once a year certain critical people of a company meeting to evaluate if the objectives were met, and plan next year's activities. We are the best of the San Diego event venues, and we have what you need to make your company shine before your guests. Regardless of the type of activity, you are going to do; we have lovely spaces where you can accommodate from 50 to 1800 guests for your celebration. Contact us, and let us help you place your organization at the top of San Diego. Planning a corporate party or event is never easy. There are many details that have to be ironed out and plenty of time has to be spent shoring up the details. One of the first things you need to do is locate a San Diego corporate events venue. The venue is likely the most important decision that you will need to make and one of the first. It is best to book the venue as soon as possible. There are several things to keep in mind when you are ready to choose a San Diego corporate events venue. Consider the location. You want to make sure that it is conveniently located so that everyone will be able to attend. It is also helpful if the venue is located near hotels, especially people may want to spend the night nearby. You may also need to put up a guest speaker or others coming in from out of town. You want to choose a space that is the ideal size for your group. Next you want to consider the amenities that are available at the venue. Not every San Diego corporate events venue has the same options. For instance, consider the availability and size of LED screens so you can give a PowerPoint presentation or stream a live broadcast. In some cases you may need a stage. 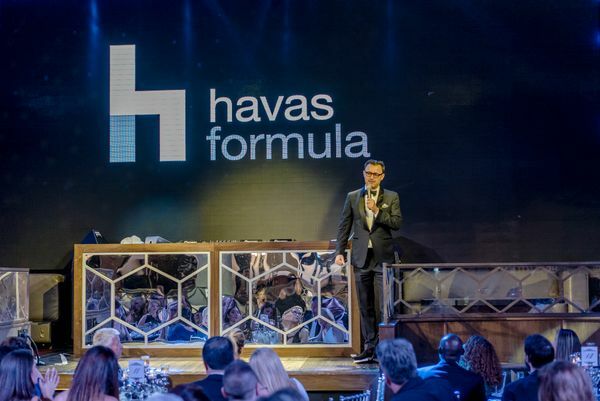 A stage is perfect for shows, presentations and corporate meetings as well as for presenting awards. A good sound and lighting system is ideal for events that include music or dancing. You will also want to consider whether you will be serving food and drinks at your event. If so, consider the type of food that you will serve. For example, you may want to serve food as part of the event in either sit-down fashion or as appetizers. In addition, if the event is a party you must decide whether drinks will be served. With a total of 30,000 square feet, PARQ Event Center is an exciting venue for your next corporate event. We are able to accommodate groups from 50 to 1,800. We offer a selection of options to meet your needs. Our Lair Nightclub is perfect for corporate parties and features state-of-the-art lighting and sound in a premier setting. Our PARQ Restaurant features a Central Park theme with an open air dining area with lighted trees, a DJ booth, 4 TV screens and 5,000 square feet of event space. 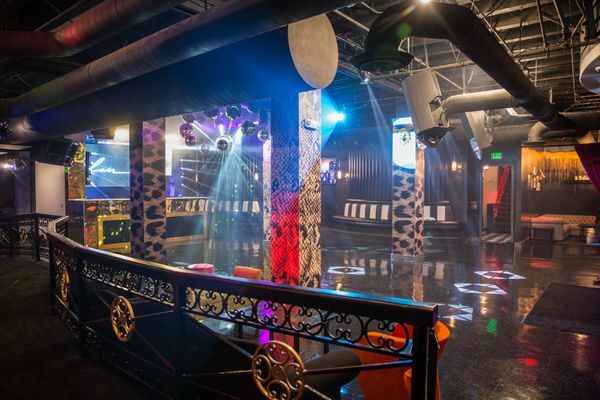 Our PARQ Nightclub lets you plan a lavish event with up to 10,000 feet of space it includes a 32 foot LED screen, 2 built-in bars, a 42 foot stage, two 10 foot LED screens and more space where you can have dinner or cocktail receptions. We have the best location in town. We are in the Gaslamp Quarter within walking distance from the convention center and downtown hotels. It is the ideal venue for your next corporate party or event. Parq Event Center is the hub of San Diego corporate events and venues. We provide a world-class event center in the middle of downtown San Diego that is a gathering point for corporations, families, individuals, and Hollywood A-listers alike because nobody puts on an event like Parq! Parq Event Center makes it possible to connect with your target audience like no other venue. In the online world of 2019, we often look to the Internet to expand our brands, market our products, tout our services and connect with new customers. 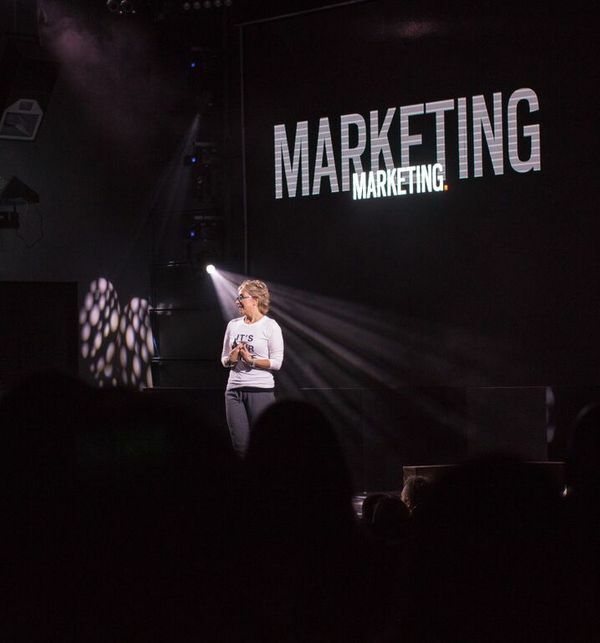 What many people fail to realize is that their online marketing efforts could be much more successful if implemented with annual corporate events. Additionally, consumers are becoming dull to online marketing, and the online marketplace is more competitive than ever. Corporate events give you a chance to meet your prospects, establish connections, and sell more of your stuff. Simply shaking a few hands and talking to some people face-to-face can have far greater results than hundreds of clicks on your website. Of course, an event is only as great as the venue it's held in. Parq Event Center gives you three venues in one. You can have access to Parq Restaurant, Park Nightclub, and Lair Nightclub. Whether your event takes place during the day or in the evening, Parq Event Center can make it memorable for your guests and your team. Today, more and more corporations are investing substantially into employee retention. Between recruitment, onboarding, training, and employee retention programs, a company can easily spend tens or hundreds of thousands of dollars annually. As an employer, you want to build meaningful connections with your staff much the same as you do with your customers. After all, without your employers, your business cannot flourish. Parq Event Center provides our clients with five-star San Diego corporate events and venues that enable you to reach your event goals with both your customers and employees. Parq Event Center gives you state-of-the-art technology in a modern environment with tons of amenities. Whether you choose to share good food and drink with your valued employees, offer them cocktails, or pay for a night at the club, you can make your employees feel appreciated at your corporate event. Everything from our built-in 42ft stage to the napkins on the dinner tables to the 10ft LED screens can display your brand logo. Corporate events are an excellent vehicle to promote brand awareness and to get your target audience thinking about you. Of course, the finer details will have to be worked out between you and your planner, but at least you will know that you've got the best corporate event venue in San Diego when you choose Parq. There truly is no other place suited for exceptional San Diego corporate events and venues. Parq Event Center is world-famous for a reason! You will be surprised to learn how affordable our packages are. Contact us today to book your corporate event or get answers to your questions. Parq Event Center is the number one choice for San Diego corporate event venues. Knowing what to look for when choosing your next corporate event space sounds pretty straight-forward. But when it comes down to it, it's easy to overlook some of the things that can really impact your event. We all remember about the date, the prices, and the packages, but there's more to consider! Parq Event Center encourages you to view and compare multiple corporate event venues so that you will choose the one that is most ideal for your event. Here are four tips to help you select the best venue. This might sound obvious, but it is very important to consider a venue's location and all of its implications. Parq Event Center is a popular choice for corporate events because it is located in the heart of the town on Broadway. Depending on where your guests are coming from, it may be ideal to have a venue that is close to public transportation and lodging. Plus, we're super-easy to find in downtown San Diego. We also offer event parking, and our venue is perfect for planners who want an open-air venue for their corporate event. This is also a very important thing to consider. Your guests are going to spend a lot of time in this space, so it needs to be adequate. Clean and bright spaces will motivate your guests during a daytime event. A natural setting is a great feature to have. Plus, at Parq Event Center, you have the benefit of open air, and you never have to worry about natural light interfering with your presentations. Parq Event Center has a very fun, vibrant, and modern appeal. When you plan your event with us, you will have early access to the venue. However, we may charge early access fees. If you have large equipment, AV, or other items coming in, you will be pleased to know that we have a dock close to the event room, so you or your crew don't have to walk a long way. Simpler items, such as boxes of stationary, can often be shipped or brought into Parq Event Center before the day of the event for storage. Contact us to learn more as you consider San Diego corporate event venues. If you're looking for the best place to host San Diego bar mitzvahs, consider Central Park in downtown. Here, you will find the oldest and most esteemed event venue in So Cal - Parq Event Center. We have the facilities, the experience, the team, the resources, and the know-how to make your bar mitzvah a special one to be remembered for life. Book your bar mitzvah in advance! A bar mitzvah is the celebration of a boy coming to age, marking this event as the most important time of his entire life so far. This is the time when he will become an adult. The young man will be called to read the Torah at Shabbat. At the age of 13, a young boy becomes responsible for his own actions and now must take ownership for keeping with the traditions, laws, and ethics of the Jewish faith. Despite the seriousness and importance of this period, the bar mitzvah is a time to party, celebrate with friends and family, eat the usual meal, receive customary bar mitzvah gifts, and eat the bar mitzvah cake. Although traditions are changing a bit with modern times, the basics of this Jewish custom remain the same from Israel to San Diego. The mitzvah ceremony will include a Shabbat Prayer Service and ritual readings of the Torah blessings - called the aliyah l'torah - a celebratory meal with friends and family members. At the end of the mitzvah, the young man will perform the ritual wearing of the tallit during or at the closing ceremony. The bar mitzvah is a time of reflection, learning and spiritual growth, and a time to draw closer to God. Meanwhile, planning a bar mitzvah can be a massive undertaking. Since this is the most important day in the entire life of a Jewish youth, anything less than a spectacular event will be a massive disappointment. For the mitzvah to be done right, sometimes it's wise not to do it all by yourself. 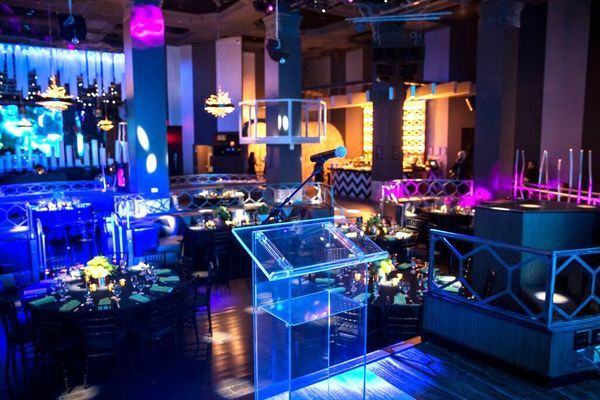 Parq Event Center has hosted thousands of bar and bat mitzvahs over the years, and we can help to make yours spectacular. 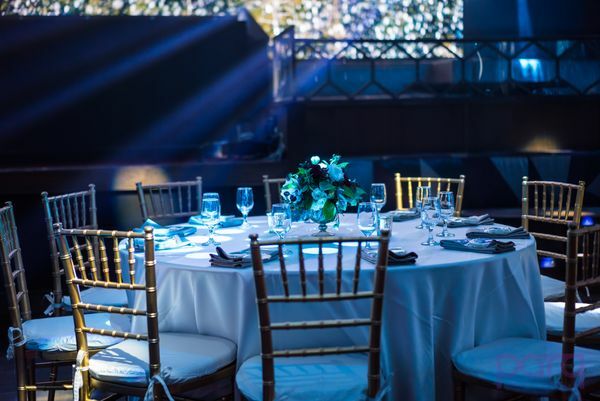 With all of the pomp and circumstance associated with a bar mitzvah and the party that follows - which rivals the extravagance of a wedding - it's easy to overlook the importance of selecting the best venue to host a bar mitzvah. 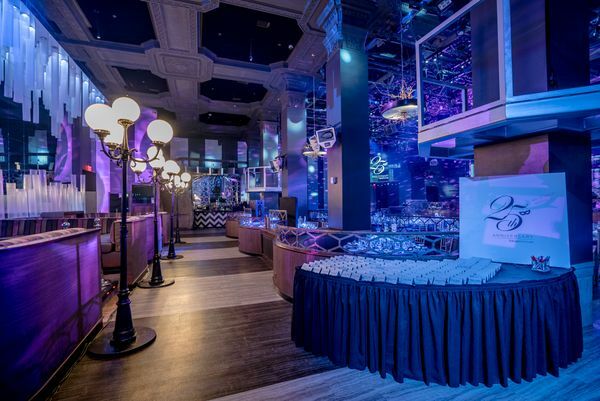 Not only does Parq Event Center understand what makes a great bar mitzvah, but we will work with you to sort out the finite details and bring your dream party to life. 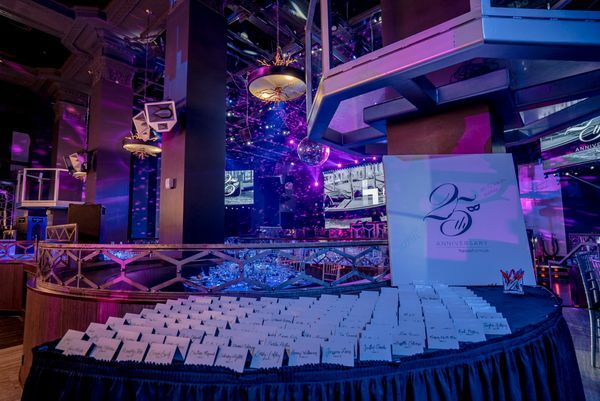 You will love that Parq Event Center is a highly customizable bar mitzvah venue. With a full stage, a DJ booth, massive LED display screens, and LED lighting that can be customized according to whichever color scheme you prefer, the possibilities are endless. Parq Event Center is a venue for San Diego bar mitzvahs and all sorts of events. Because of our experience, we are often able to give tips, advice, and ideas that can bring your desired bar mitzvah to life. Contact us today to learn more, and be sure to book your bar mitzvah in advance to assure availability. San Diego bar mitzvahs just aren't done right if they're not done at The Parq! When you are organizing a family reunion, a party, an event or a corporate activity, one of the key factors is to have an excellent venue for your celebration. Also, the place must provide you with the services of a staff that helps you make the ceremony of your dreams. PARQ Event Center is the most popular in San Diego special events venue. However, what is it that makes us so unique? First of all, we are a place for events that can host from 50 to 1800 guests, giving us extraordinary capacity and flexibility. Moreover, take in mind these aspects, and see the reason for our popularity. The years of large hotel rooms for receptions and celebrations are a thing of the past. Today we have the privilege of saying that we are the most versatile company in San Diego for any party you want to do. No matter what kind of meeting you are organizing, our spaces offer you a variety of environments and styles that will allow you to unleash your imagination. For example, if it is party time, we have at your disposal the PARQ Night Club. With impressive 10,000 sq. Ft., you can host up to 850 guests to have fun without stopping thanks to the most advanced audio and video system in the city. If you want to eat, you can enjoy our exclusive PARQ Restaurant, where chef Brad Austin will delight you with his American Progressive Cuisine. Finally, if you want a more intimate atmosphere to share, we have the Lair Night Club, where you can enjoy with your guests the most exclusive lounge of San Diego. In short, no matter the occasion, PARQ has the ideal space you need. A place of events becomes popular, when your guests feel spoiled, like at home. In PARQ we have worked hard so that all our staff is trained to provide the best customer experience in America. From the first call, you will be advised by experts at events in San Diego. Moreover, at the time of the celebration, we guarantee that your guests will feel in heaven from the first minute they are in our facilities. This is one of the most beautiful historical buildings in the city. Take advantage of the features you have to make a wonderful celebration. Mr. Carlos Becerra has been concerned to preserve most of the architecture of the 20’s for your enjoyment. Regarding the location, we are in a strategic point of San Diego, in the Gaslamp Quarter. Another aspect that makes us the best of the popular San Diego special events venue is that we work with the goal of alleviating the highest possible while you organize your event. We have been concerned with offering the best audio, lighting, and video systems in the entire region. Also, we have the best logistics equipment that includes stages, furniture, and technology so that you can configure your event just as you dream it, fulfilling your objectives and giving you that celebration you have dreamed of. Are You Ready to Live the Experience? Allow yourself and your guests to experience San Diego's most beautiful experience at PARQ, the most popular event venue in the city. We guarantee that you will live something different, unique and unusual, to remember forever. Contact Us. A cocktail is one of the most popular parties ever. It is a standing celebration, in which the guests are free to go through all the available spaces. When these activities are organized, is to present a book, a product, a company, or for a special occasion such as an acknowledgment or an anniversary. They are usually events attended by a large number of people. PARQ Event Center is the best of party venues in San Diego, offering guests unforgettable experiences. If you want to organize this type of activities, it is essential that you take in mind the most vital aspects. For gala celebrations, it is best to organize it for the night. According to the occasion and if the facilities allow it, the party can be until late at night. For example, PARQ has excellent facilities to make the party beautiful and forever, set by the incredible sound and light system designed by Stephen Lieberman. These events can also be during daytime hours, according to the organizers and their objectives. In these cases, there is often a small preliminary act before making the toast. The usual is that someone receives the guests at the door of the celebration. For this, there are different formats, such as hiring a group of hostesses. If there are personalities invited to a corporate event, for example, they must be received by the significant staff of the organization, such as top management. The reception committee remains to wait for all the guests to arrive, at least the most relevant ones. As it is a standing party, the star is usually drinking. For this, you should think of a good selection of wines, as well as some strong drinks and of course, delicious cocktails. Regarding the food, the idea is that the guest does not get complicated. The food must fit in one hand while holding they drink with the other. That is why your selection should go to cheeses, canapes and all kinds of snacks. PARQ has an excellent variety of options for your guests to enjoy while celebrating. The usual is that enough waiters are circulating among the guests delivering both food and drinks. It is crucial that you calculate the ratio between guests and waiters very well so that your guests have enough food and drink throughout the celebration. If you have any doubts regarding this calculation, do not hesitate to contact us and we will gladly advise you. There are usually not many tables during the celebration of these activities. However, it would not be wrong a couple of them, so that the guests come and select the food they want. It is also essential that the place you choose has an excellent bar that helps provide a pleasant experience. If the event agency has screens, these can be useful to project images of your corporate image, or in any case allusive to the purpose of the celebration. PARQ has an excellent LED video system that will help you perfectly to fulfill this purpose. If you are ready to give your guests a wonderful experience in our city, the team of professionals at PARQ Event Center will be happy to assist you. In addition to having beautiful facilities, with different themes and purposes, we offer best-added value services in the region to make your party a unique experience. Contact us. When you want to impress your guests and create a memorable event you need to choose the venue wisely. The right location can make or break your party or gathering. There are many venues available for parties in San Diego, but none as luxurious and contemporary as the PARQ Event Center. Located in the middle of the Gaslamp Quarter it is close to the convention center and downtown hotels. There is a wide assortment of features and amenities that will make your party fun and exciting. The PARQ Event Center is a venue that can accommodate parties of 50 to 1,800 people. It is available for corporate or private events and parties in San Diego. Our impressive total multi-room venue is 30,000 square feet in size. We offer a unique and memorable experience that your guests will rave about for months to come. We have a state-of-the-art light and sound system that includes a 32 foot LED screen. The 42 foot stage area is ideal for presentations and shows including live entertainment. We also have a DJ booth and a 30 foot main bar inside the Nightclub with a dance floor and selection of in-house entertainment. Our venue is segmented into various areas depending on the size and function of your party or event. You are sure to find our venue is ideal for your next meeting or for all types of parties in San Diego. The PARQ Restaurant is an open-air venue inspired by Central Park. 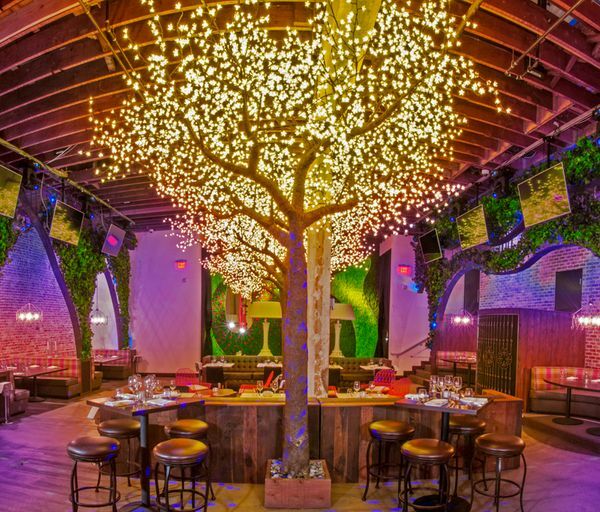 The restaurant is 5,000 square feet and has a unique ambiance with lighted trees that make it seem as though you are dining in the middle of Central Park There is a DJ booth, 4 TV screens and a luxurious ladies lounge. The food is progressive American cuisine which is prepared by our in-house chef using the latest preparation techniques and beautiful presentation. Your guests will be impressed with their dining experience. The Restaurant is ideal for hosting meetings and events including dinner and cocktail receptions and other parties in San Diego. Our PARQ Nightclub is a hip, contemporary venue that is spectacular. Guests enter through the Grotto tunnel into an exciting space that is 10,000 feet in size. Party planners have access to the latest technology to assist in planning their event. The huge LED screen, stage and high quality sound and audio systems are located here. 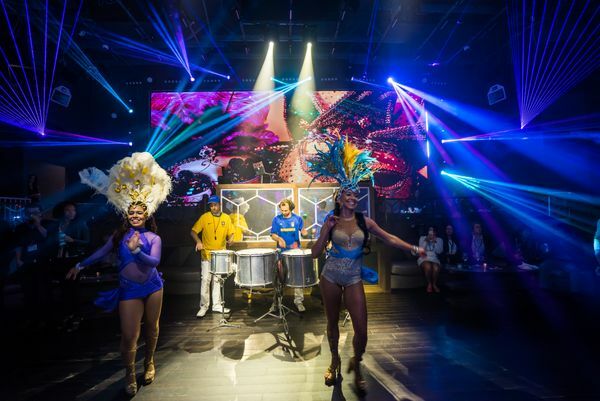 You can also choose to have access to the Restaurant first for dinner and then allow guests to enter the Nightclub for an evening of entertainment that you plan. The stage is perfect for live performances. There is no better or more interesting and unique venue to hold events and parties in San Diego. View our online photo gallery to get some ideas for your next gathering. Preparing for a corporate meeting or business seminar take a lot of planning. One of the first and likely the most important tasks that you need to accomplish is choosing and securing a venue. You want to make sure that the location you select is ideal for meetings in San Diego. There are some things to look for in the perfect venue. Once you know the date of your event or meeting you will be able to reserve your space. When you choose a venue it is best to opt for a location that fits the number of guests that will attend the function. The setup of the venue is also important. You want to be able to create the ideal arrangement for your meeting with tables or seating and screens for presentations or videos. You also want to consider food and drink. Depending on the time and length of the meeting you may want to serve food or appetizers. If the event extends into the evening you might want to include some cocktails and appetizers. High quality audio and lighting systems will improve the event. If you want to do a presentation or an awards ceremony you may want to use a stage area. These are all the types of things you want to think about. A venue with flexibility and lots of options will provide you with the best location for meetings in San Diego. In addition to the features and amenities, you also want to choose a venue that is appealing and contemporary. It can be a place that will be memorable to your guests and will have them talking for months. PARQ Event Center is perfect for gatherings of all sizes including meetings in San Diego. Located in the historic Union Building, the venue is in the Gaslamp area close to the convention center and downtown hotels. PARQ Event Center can accommodate groups of 50 to 1,800 people. The PARQ Nightclub has a capacity of up to 850 for a reception or 275 for dinner. It includes 10,000 square feet of space with a 32 foot LED screen, 2 built-in bars a 42 foot stage and two 10 foot LED screens. It is the ideal place to plan a large meeting or corporate event. The Lair Nightclub is a smaller area that can hold up to 325 for a reception or 120 for dinner. 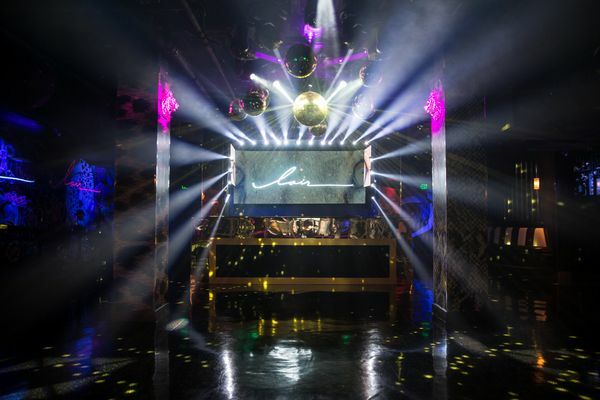 The space is luxurious with state-of-the-art lighting and sound systems and lavish black and gold décor. It is a great space to have a business event or party. We offer you access to the venue to create the ultimate space to hold meetings in San Diego. We have everything you need to make your meeting a success. View our online photo gallery to look at the space and get some ideas for your next business meeting or corporate event. You will certainly wow your guests and employees when you choose our exciting venue for your seminars and meetings in San Diego. Holidays provide an excellent time for planning and hosting various parties. During holidays there is a lot to celebrate, have fun, socialize and loosen up. Many parties take place during holidays due to the convenience since many people are not at work. Thus, almost all your friends will be available, and that’s what light’s up a function. However planning a party is not an easy task as it might sound, you need to involve the right people and take your time. Some parties such as wedding or anniversary are engaging, and therefore you should not be in a hurry when organizing one. You aim to impress and make your party memorable for a very long time. Getting the right holiday party event location in San Diego should be your priority when planning for a party in the coming holiday. How do you plan for your holiday party in San Diego? Every party should have goals it aims to achieve. Understanding the purpose of the party will make it easy for you to plan. Every party has its needs that you should take care of to make it successful. For instance, planning a wedding party can be expensive and more demanding than a birthday party. Corporate parties also have their demands since the attendees are of a different class. They can be dignitaries, employees and sometimes the customers too. You cannot just start planning a party without an objective, you will get everything wrong, and that is an embarrassment you can't imagine bearing. Another important factor to look for when planning a holiday party is the location where the occasion will take place. Here is where you are likely to face a lot of challenges since you are looking for a venue that will complement with your class in society and the nature of the party. For a wedding, you will need an outdoor venue and launching a product for your company indoor location will be the best. Currently, the best facility in San Diego is the PARQ events center which provides both indoor and outdoor venues for your holiday party. There is also everything you need from meals, accommodation and best nightclub in the city. The next step when planning your party is to decide on the number of guests you expect in your party. The people attending your party determine the budget for your event. For instance, when booking drinks and meals or accommodation, you will rely on the number of your guests. 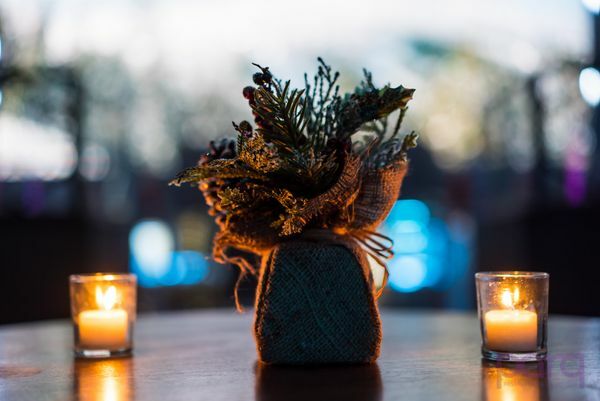 The last and the most vital step is setting the budget for your holiday party. Here factor everything from the venue hiring and logistics if necessary. Consider hiring our facility for your next holiday party. Take advantage of various offers and discounts at our facility in the coming holiday. Call us today at 619-727-6789. for more information. Which event are you planning to host soon and have you found the best venue in San Diego? The success of any event is purely dependent on the venue hosting the occasion. That’s why event planners don’t settle until they get the best venue for their event. Many celebrations are memorable due to the inspired and unique event venue ideas. San Diego is one of the most famous cities in the world for hosting essential events courtesy of gorgeous venues. You can host any kind of event in the town, from a wedding, and product launch or even hold you’re important meetings at our facility. But, why look for event venues and meeting spaces in San Diego? One good reason for this is to make your event more exciting and interesting. What makes an event memorable is how it was organized and where it took place. Corporate meetings also need a quiet and conducive place for intellectual minds. The PARQ event center in San Diego has what it takes to make your occasion memorable and successful. There is enough space, excellent stages for the presentation, modern screens together with sound and lighting systems. Once you consider our company, we will take care of everything you need in your event. You will only need to provide us with the guide on how you want your event to look like and relax as you wait for the D-day. How many people have you invited to your event? If the number is significant, the venue you choose should be able to accommodate all of them. Therefore, before you think of looking for an event venue first, make sure you know the exact number of people you expect. At the PARQ event center, we have enough space to host any kind of event you might have. The space in our facility can hold a capacity of up to 1800 people. How much are you willing to spend on hiring the venue? Remember an excellent and well–equipped venue will be slightly expensive. However, don’t prioritize the cost if you want to hold a high-quality and memorable event such as a concert. Our staff will negotiate with you to ensure that you get the best venue at your budget. Your event needs other services such as security, parking or event entertainment services. In our facility, depending on your needs we will accommodate all your needs where possible. We have a nightclub with enough dancing floor where your guests can have fun after the event. If you want to hold an event in San Diego don’t even think twice, call us at 619-727-6789 for reservations. We will work with you closely to ensure your event is a success. Organizing a corporate event can be a big challenge. For being a strategy that supports specific objectives of the company, it must cause a high impact to the target to which it is directed (Not necessarily clients, they can be suppliers or the work team). To organize a corporate activity and also cause a strong impact, you must take in mind two magic words: organization and planning. It does not matter if it's a big international convention or a workshop. The success of the event will be in the small details, and the care you have of them. If you take into account the key aspects correctly, your event will be a beautiful and unforgettable experience. It is essential that you know which are the most relevant so that your attendees enjoy a unique experience. The first thing you have to ask yourself is why are you doing the activity. Your event must meet specific corporate goals. Then, you must define your target audience, that will give you a profile of the type of attendees that you will have. The combination of these two factors will allow you to define most of the features, content, and logistics that your event should have. Also, it will enable you to stay focused on the goal you want to achieve. Independently that you are going to organize the event on your own, or hire someone to do it, you must define the resources which you have for the activity. With it you can have a realistic picture of the things you can do, trying to maximize resources. This is perhaps the most critical aspect of the realization of a corporate event. You must take into account the characteristics, location, and accessibility of the place. Also, select the venue that provides the most added value. If you are organizing a corporate event, and you are looking for a corporate venue in San Diego, PARQ has the best options in the city for a state of the art business event. Define according to the objectives, the available time and your budget the schedule of the activities to be fulfilled. It would help if you established margins and spaces for error. Put also some evaluation points so that you can detect failures on time. It is also essential that you define the expected sequence with which the activities will be carried out. This is not an exact science, so it is advisable that you design two or three plans. Then decide for the one that you think will meet the corporate objective satisfactorily. Now, it's time to promote the event to your target audience. Define the contents that you will share with the guests so that you motivate them to participate. This will increase the expectation and will generate a better experience at the time of the activity. We Have the Best Corporate Venue in San Diego Waiting For You! If you want your attendees to have a unique experience in your corporate event, at PARQ, we have the best locations for you. It does not matter if it's a business lunch, a prominent international convention, or the anniversary of the company, here we have the best of San Diego. Also, you have the support of the PARQ staff, and the best value-added services. Contact us; we will be happy to assist you. Corporate meetings or events are now becoming popular after many companies realized its importance in brand building. Currently, many firms use their activities as part of a marketing strategy since it provides the opportunity to meet with both customers and potential customers. Alternatively, corporate events are essential for team building and brainstorming. Some companies use the events to train or recruit new employees. However, for your company to have a successful corporate event, you should look for the best venue. If your company is located in the United States of America, you can consider hiring our facility for your corporate events. We have enough space for both retreats and meetings. The challenge many companies have is to find the best place to hold their organizational meeting or events. In San Diego for instance, there are many venues where you can hold your activities, but you need to be very careful. Why the choice of corporate event venues is important? 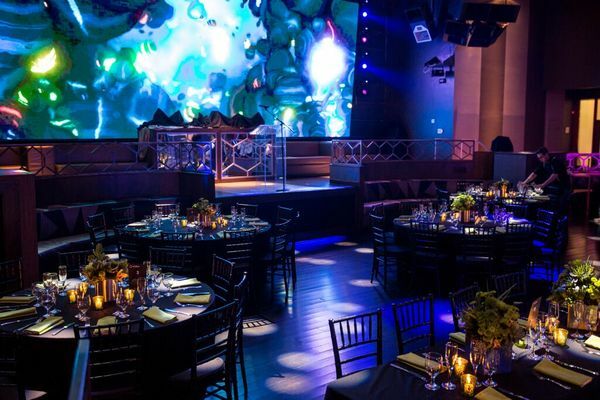 Value for your money, hosting your corporate event in the best place like in PARQ event center in San Diego, you will not even think about the cost due to the services and amenities that your attendees will enjoy. Everybody wants to get value for the money they spend on an event or product. Therefore, a pre-visit to the venue will be essential to ensure everything your company paid for is available. Don’t just wait then complain later when you have the chance to make decisions at the planning stage. Memorable, no one can forget an event that took place in a well-organized venue. Your corporate event can fail because of the choice of venue you make. Many companies make a mistake by hiring an event planner then leave everything for the company to handle. Get involved to make sure everything that is included in your event will make it memorable for many years to come. Remember, as a company you should document all the events you undertake every year. Visually appealing and creates a refreshing moment. A proper venue for any corporate event should be well-decorated, to please the eyes of the attendees as well as define the image of the company. A reputable company should not let its brand down by hosting corporate events in a sub-standard venue. An excellent business event site also provides a conducive environment for the attendees to reenergize more so if the majority are the company employees. In San Diego, PARQ event center has a good name in providing the best venue for corporate events such as the launching of products. We have the best equipment and amenities for hosting any business event. Reach out to our helpdesk if you have any questions and you will be assisted accordingly. Not every venue in San Diego is designed with bar mitzvahs in mind. Parq Event Center is a bar mitzvah venue in San Diego that understands these unique events what makes them great. Rest assured, Parq Event Center has hosted countless bar mitzvahs over the years, and we know just how to make them memorable for everyone. When you purchase an event space from Parq Event Center, you're purchasing the food and space. Here, at Parq Event Center, you're getting the entertainment and the ambiance as well. One of the aspects of the Parq Event Center venue that our clients love most is that it can be customized to your theme. The colors, the furniture, and the decor can be easily changed to give your bar mitzvah the look and feel you desire. For example, if you wanted to make the venue feel like Yankee Stadium, you can easily do so. Likewise, if you're celebrating a bat mitzvah, you might have a vision for your guests to enter into Cinderella's castle. Whatever your child's dream is; you can make it come true at Parq Event Center. When we meet with our clients, we want to know as much as we can about them and about their ideal bar mitzvah. We want to know what they like and what they need. Indeed, we go above and beyond to make the process of venue selection hassle-free and comforting. We'll treat you and all of your guests as highly-esteemed family members from planning until the day of the party. As we plan our clients' events, we usually get close to them. If they don't connect with us, they're probably not going to trust us with their party, so we do all that we can to accommodate them. We offer our clients a vanilla box that can be changed easily into anything you want it to be. At Parq Event Center, we feel strongly about giving our guests great value while minimizing the number of vendors involved in their bar mitzvah. When you bring us your budget, our experience enables us to give solid advice and ideas about options you might not be aware of. For example, it's sometimes wise to invest in a play area or some kind of entertainment for the young adults during cocktail hour. It's also good to strategize when and how you will get everyone into the main room that everyone will expect when they attend a bar mitzvah. Parq Event Center is the premier bar mitzvah venue in San Diego.